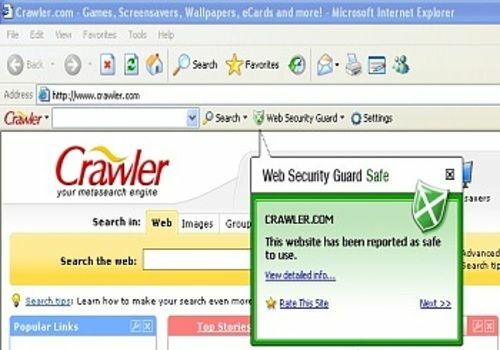 Web Security Guard alerts help prevent you from entering potentially dangerous websites that may cause adware, viruses, spyware or spam infections. Free for home and office use, it uses a growing database of website ratings. Comes with Crawler Toolbar to keep it up to date and offers a unique combination of search results from Google, Yahoo! and MSN. Protect your data and privacy, review website contents and threat level before you enter it!